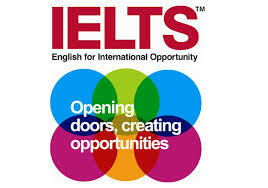 The IELTS speaking test is the number one test for students who want to study or work in the UK. The format of the test is in 3 parts as detailed below. Our classes at skypeclass will help you prepare for this test. The total test time is 11-14 minutes. Part 1. In this part, the examiner introduces him/herself and checks the test takers’ identity. They then ask the test takers general questions on some familiar topics such as home, family, work, studies and interests. To ensure consistency, questions are taken from a script. This part lasts 4-5 minutes. Part 2. is the individual long turn. The examiner gives the test takers a task card which asks the test takers to talk about a particular topic, includes points to cover in their talk and instructs the test takers to explain one aspect of the topic. Test takers are given one minute to prepare their talk, and are given a pencil and paper to make notes. The examiner asks the test takers to talk for 1 to 2 minutes, stops the test takers after 2 minutes, and asks one or two questions on the same topic. Using the points on the task card effectively, and making notes during the preparation time, will help the test takers think of appropriate things to say, structure their talk, and keep talking for 2 minutes. Part 2 lasts 3–4 minutes, including the preparation time. Part 3. the examiner and the test takers discuss issues related to the topic in Part 2 in a more general and abstract way and, where appropriate, in greater depth. This part of the test focuses on the ability to express and justify opinions and to analyse, discuss and speculate about issues. Part 3 lasts 4–5 minutes. Take classes with us at skypeclass.com and we will prepare you in the best way possible by developing your speaking skills and helping you build your confidence in speaking.